The sales funnel guides customers through a journey. Your business should aim to change the ordinary purchasing transaction into a fun-filled festival. Lead your team toward more sales with a creative approach. Generating sales online is a process, not a single event. To acquire customers, a variety of marketing and sales strategies must be implemented to convert prospects into paying customers. Moreover, a business’s sales funnel is only as effective as the team that runs and maintains the sales process. According to MarketingSherpa, 57% of B2B organizations identify “converting qualified leads into paying customers” as a top funnel priority, but 65% of B2B marketers have not established lead nurturing. No business exists without its clients. However, every client won’t help build your business. Discover how your product or service can avoid fear, refocus desire, or channel pain. Learn the psychology behind your ideal clients’ problems. The ideal customer profile should include more than the person’s age, gender, and job status. Demographics only offer broad descriptions of people such as, female executives aged 40-65 or mid-level managers at a consulting firm. You should strive to dig deeper. Consider learning about your clients’ psychographics. Study their behaviors, habits, and lifestyles. Learn how they spend their money and time. Meet Jerry. He owns a custom software development company. After testing his marketing site and ads without landing any customers, Jerry sought out Lincoln Murphy of Sixteen Ventures. Fed up with the lack of results, Jerry wanted to get moving. His initial thoughts were to reduce free trial time and set up a credit card wall. Murphy advised against this approach because punishing prospects wouldn’t increase Jerry’s conversions. Instead, Murphy helped Jerry define his ideal customer. Who would immediately receive value from his software? More importantly, Jerry also described the wrong customer for his business. After these simple exercises, Jerry realized that the wrong customers were signing up for his free trial offers. With a better understanding of his ideal customer, Jerry fixed his leaky sales funnel and started targeting his ideal customer. 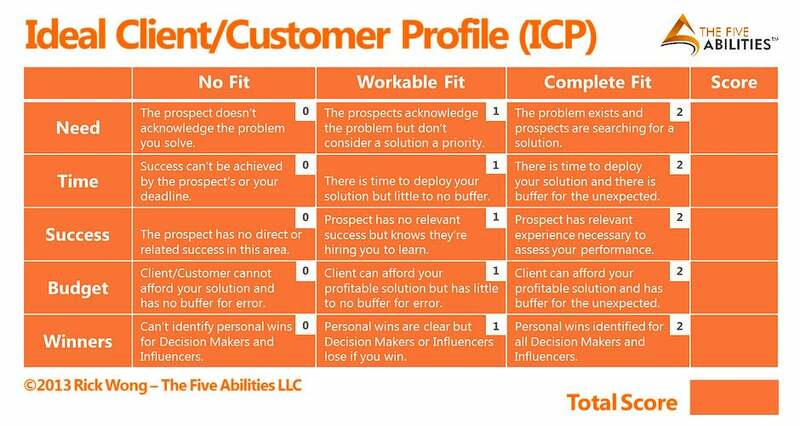 Create an ideal customer profile with your team. Restructure your sales and marketing strategies to fit your clients’ needs. 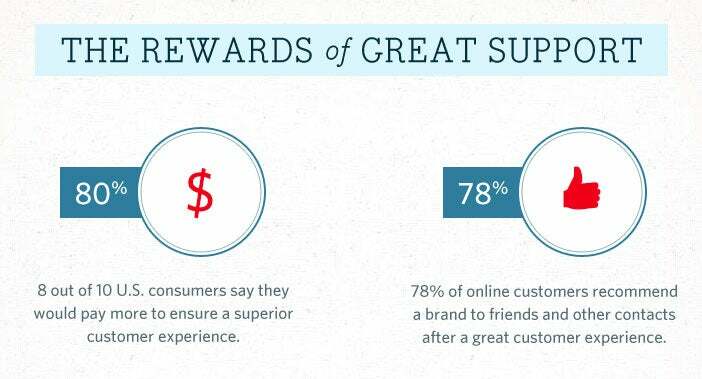 Learn more about customers via surveys and focus groups. Analyze customers’ complaints to adjust your sales approach. First impressions always matter. When people visit your website, they should experience a theme park adventure. Prospects should be awed by your work, greeted by friendly help desk reps, and streamlined through a purchase process. Don’t make false promises. Customers may expect a few minor mistakes when a new product rolls out. However, don’t launch a product to market if you are not ready to fully deliver on your promises. When you set unrealistic public expectations, your customers move on, and your company will lose integrity. So, create a strategy where new users can quickly succeed. 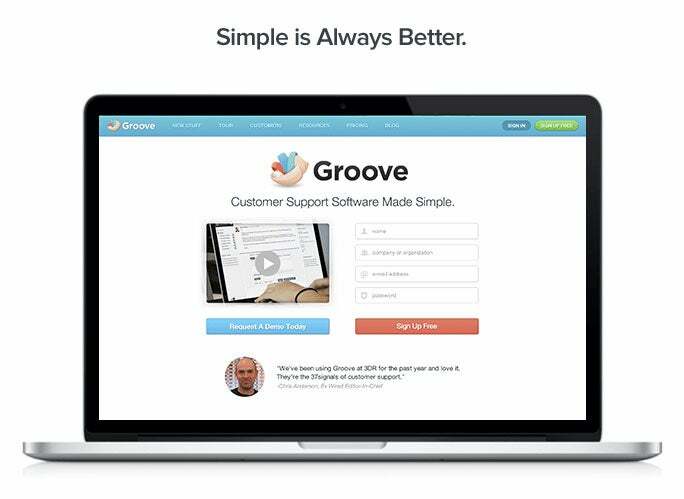 Groove offers help desk software to small businesses. The founder and CEO Alex Turnbull is transparent about the early failures of the startup. The company initially had a wish list of features. Like most startups, the team thought more features would add more value to the product. However, each “new” feature did just the opposite and pushed their launch date back. Turnbull and his team recognized that boatloads of features and ancillary apps didn’t equate to paying customers. 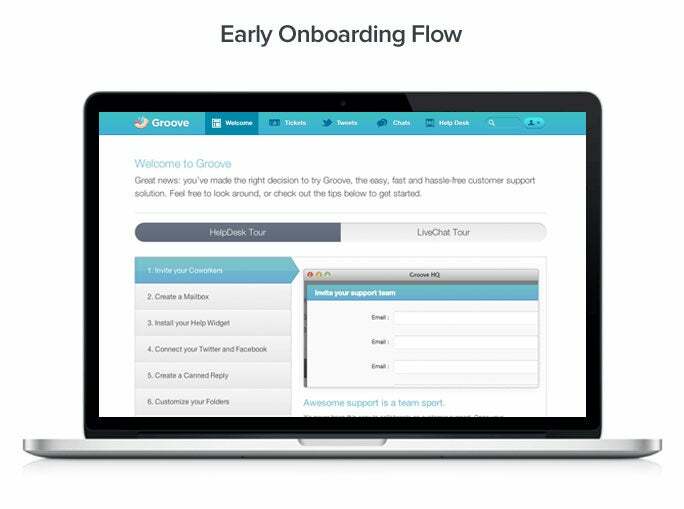 Groove’s sign-up conversion rate was less than 2%. In the end, the team learned to focus on what they did best. They launched a three-page site that was “hyper-focused on the benefits.” (See image above.) And guess what happened? Conversions tripled overnight! Show customers your product benefits, not features. Test assumptions often and early. Make the sign-up process easy. Create behavior-driven messages to get your clients to take action. Are you aiming too high or too low? Discuss metrics with your team members. From website traffic to free trial users to email signups, decide what it takes to convert prospects into buyers. Develop sturdy conversion architecture. Your audience should be moving smoothly from the unaware visitor stage to the satisfied purchaser stage. Keeping potential buyers engaged with content updates and email newsletters work well. You also should try other cost-effective opportunities, like mini-workshops or webinars. Mention, a real-time media monitoring app, struggled with its churn. The team realized it couldn’t sustain due to a huge leap in customer growth—from hundreds to over 200,000. They also knew “paid and free trial members were more valuable than users with a free plan” and that webinars were a great conversion tool. Various techniques changed how the company offered value. First, users were segmented by membership type to prioritize help tickets of more valuable users. Automated marketing emails were sent to entice free trial users to receive “Pro Tips” after activation. Mention emailed monthly case studies highlighting success stories, like the one pictured below. In addition, they created a webinar that demonstrated the service’s potential with examples from actual clients. By increasing communication with its customers, Mention reduced it churn by 22% in a single month. Track actions leading to customer cancellations. Calculate customer acquisition costs and lifetime value. Show the value of your service; offer guides and tutorials. Automation can become dull and too predictable. Emails are good, but phone calls are even better. Give clients more human interaction. The customer service experience is a make-or-break event. According to the 2011 Customer Experience Impact Report, 89% of shoppers have stopped buying from online stores after experiencing poor customer service. A research study also found that 31% of online shoppers in the US and UK are more likely make a purchase after a live chat. Not every person falls in love with your product after the first showing. And most likely, it doesn’t mean they won’t purchase the product. It just means your team needs to engage the potential client more effectively. 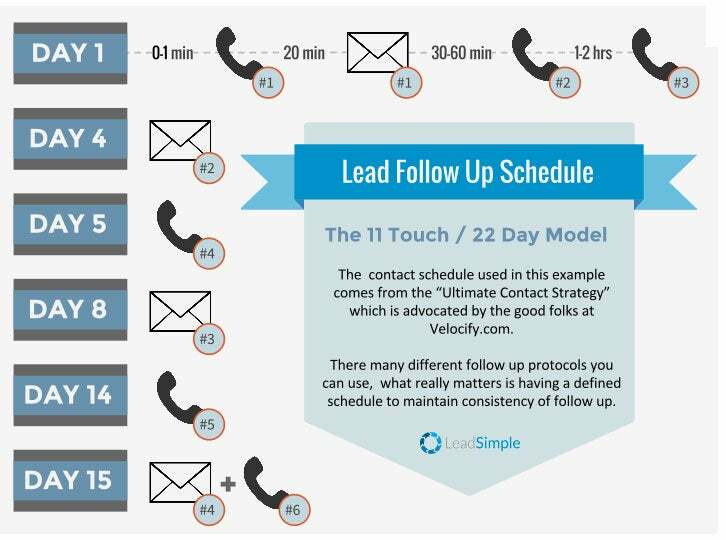 Create a follow up schedule. Set clear expectations for discussion topics and contact times. Be mindful that your frequency of communication will depend on the level of interest from the prospect. Brainstorm how to amplify the customer service experience. Build an emotional connection with customers; skip the superficial relationships. 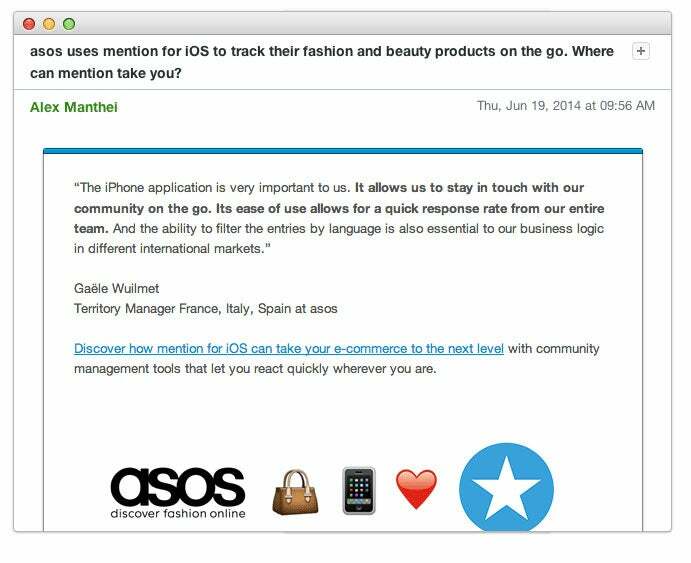 Actually talk to your customers, and ask them meaningful questions. Don’t get addicted to constantly wanting new leads. Break ground by rewarding your current customers with special offers and first-time access to new products. Generate more sales with the folks who love you the most. Similar to other types of businesses, SaaS companies are susceptible to customer disloyalty. If you expect to earn recurring revenue, expect to give recurring value. By satisfying customers regularly, you decrease the risk of customer churn. Are you running upsell campaigns to encourage your current customers to try different products or services that you offer? The team at Flow, a collaborative task management app, strives to make their customers smile. The staff enjoys watching their users discover something brand new. In one day, the team manages to suggest, design, and build concepts. From creating new copy to updating tutorial videos, the short timeline gives employees a different workflow, while “ensuring that customers are always the #1 consideration.” It’s a simple reminder that happiness starts with the customer. 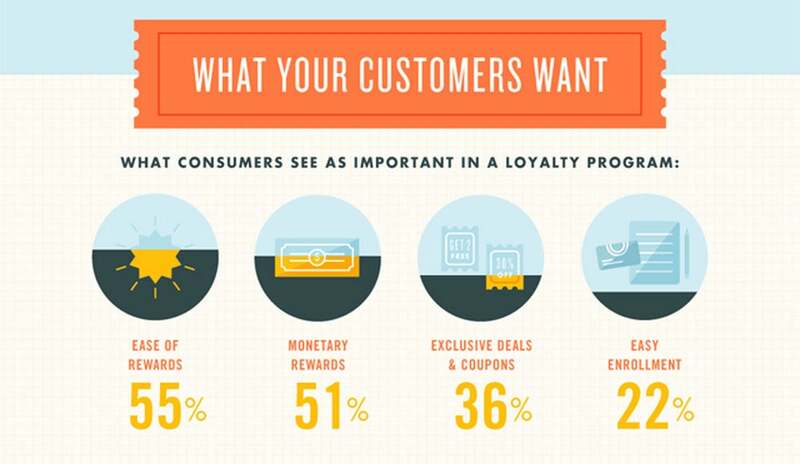 Create a customer loyalty program that adds value. Initiate an email campaign to inform loyal clients about new services. Let your team execute projects for the sole purpose of improving the customer experience. The same plan will get your company the same results. Mix up your strategies to achieve better results. From the onboarding experience to loyalty programs, your company possesses the potential to change your sales funnel process. Forget stagnant business growth. Think exponential possibilities.